This is, I believe, the second is what I expect will be a series of special edition beers celebrating the Toronto-based Great Lakes Brewing Company‘s silver anniversary. My first impression of this medium golden brew is that I wish they had chosen a different name for it. I have nothing against spices in a saison — although they are not at all necessary, are they Brasserie Dupont? — but neither do I think that the use of a yeast classified as a “classic Belgian Saison yeast” necessarily means that you’re making a beer of that style. There needs to be more, in my opinion, like dryness. Like hops. The GLB Belgian Saison — and just to add a quibble, it’s not really Belgian, is it? I mean, they didn’t go to Belgium to brew it, right? — is a perfectly enjoyable beer, spritely and spicy and, even at 6.5% alcohol, quite quaffable. In fact, it reminds me more of the unspiced, unsaison Brugse Zot than it does any other saison I’ve tasted in Belgium, and I’ve been known to enjoy a few glasses of that beer at a session. But is it a saison? No, I don’t really think so. First off, there’s the sweet character of the grains of paradise used to spice the beer. It’s in the nose and in the body, and while it’s offset a bit by the coriander and pepper also used, it still serves to keep things on the sweeter side of spicy. Then there is the dryness, or rather the lack thereof. Maybe it will dry out more in a year or so, but let’s face it, most people will be drinking this in the summer of 2012, not 2013. And while there is some hoppiness on the finish, it isn’t quite sufficient to erase the thin, cloying, honey-ish sweetness that lingers on the back of the tongue. All that said, this is a beer I enjoy and would pair happily with some soft and stinky cheese. It just isn’t a saison. You might recall a while ago – long before my curmudgeonly rant of last week – I posted about an event called the Brewer’s Plate. If you’re on Twitter, you may have seen the tweets, as well. And you may have wondered what it was all about. Well, much like the upcoming, and sold out!, Savor event in Washington, DC, the annual, Toronto-based Brewer’s Plate is a beer and food partnering event, featuring local breweries and some of the top chefs in town. This was my third Plate, and I think the best thus far. Note the “thus far,” part of that line above. Because as good as the Brewer’s Plate has become, it’s still not where I think it can be in terms of quality and effectiveness. Here’s why. The Venue: No room for improvement here! Roy Thompson Hall is an ideal setting for events like the Brewer’s Plate – and the upcoming Spirit of Toronto – and should be held on to with an iron grip. The Beer: The local angle is good, but limiting. There is now great beer available in Toronto from across Canada and around the world, in styles local brewers have not yet even attempted, much less mastered, and the inclusion of some out-of-province brands would surely benefit the scope of the Plate. The Food: Here’s where I think the most work needs to be done. Not that any of the food I tasted was sub-par or even ordinary – all the dishes I sampled were at least good, sometimes very good and occasionally great – but more effort needs to go into matching beer and food, in my opinion. At too many of the stands was I told that “any of these beers” will pair well with the food, regardless of how disparate they may have been in style and taste, and too often I heard the tired old refrain that Dish X was cooked with Beer Y – usually in some innocuous way, such as using it to colour a sauce or braise a meat – and thus is also paired with Beer Y. That may have flown in the mid-1990s, but certainly we’re now sophisticated enough that we can and should expect more of a food and beer partnership. The Organization and Service: Again, I thought everything was superbly managed, after the slight confusion at the door when the event first opened, and the service was first-rate. So there you have it, Brewer’s Plate. Work on the food, perhaps add a bit more beer and I think you have the potential to lay claim to one of this country’s best beer events. I hear that this afternoon will mark the home opener for the Boston Red Sox. On Friday the 13th. Hmm, with condolences to Mr. McL and a certain former but fondly recalled editor of mine*, this might just be a portent for the season to come. 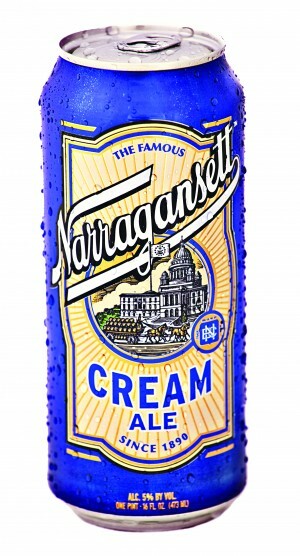 Narragansett Cream Ale (5%): Not one of my favourite styles, but let’s have a look. Rich gold with a fragrant aroma of fresh apricot, icing sugar and grain, and perhaps the faintest hint of banana. The body starts on the sweet side with fruit cocktail notes before developing more of a round and lightly caramelly body supported by a pleasing bitterness. The finish is a bit sharp on the hoppiness, but off-dry and quenching. No one would confuse this with a lager, given its roundness and fruity qualities, but I imagine that would have held true for the original cream ales, as well, which makes this a successfully nostalgic brew, and a pretty good one, too. *Whoops, my bad. Turns out I was mistaken and she’s a Yankees fan instead.